The start of the 2014 World Cup is just over three months away. With the competition nearing, a few nations have separated themselves from the rest of the field as the favorites to win the tournament. The host country is considered to have the best chance to win the World Cup. Brazil has the best the best odds at 3/1, according to Las Vegas oddsmakers. Brazil will look to become the first host country to take home the title since France won in 1998. Brazil was the runner-up that year, but went on to win four years later, setting a record with five championships. As always, Brazil has a large collection of prominent players. Perhaps the most visible will be Neymar, a young and explosive forward, who is playing his first season with Barcelona. At 9/2 odds, Las Vegas casinos have pegged Argentina as Brazil's biggest challenger. Superstar Lionel Messi is expected to lead Argentina past a relatively weak Group F.
The country hasn’t had great success in the World Cup in over two decades, failing to reach the finals since 1990. With the tournament being held in South America, Argentina may have an edge over the elite European teams. Argentina and Brazil have a long-standing rivalry as the two traditional South American powerhouses. 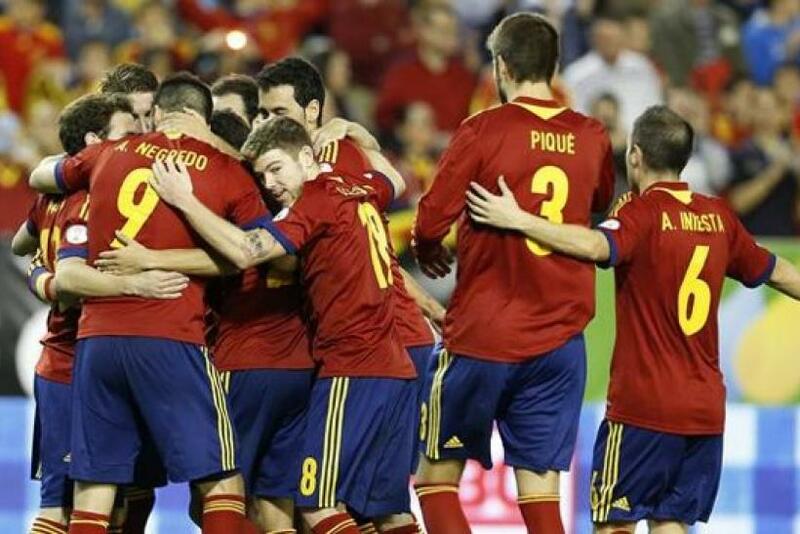 Germany (5/1) and Spain (7/1) are also considered among the top contenders in the tournament. The Germans have placed no worse than third in the last three World Cups, and it wouldn’t come as much of a surprise if Spain were to repeat as champions. However, it could be an uphill battle for Germany and Spain, despite star-studded rosters. Both Brazil and Argentina have easier group opponents than the European giants, and most of the players on the rosters of Germany and Spain have limited experience playing in South America. Of the 32 teams in the field, 18 have odds of 100/1 or worse. Included in that group is the U.S., which had a strong showing in 2010, after failing to win one match in 2006. The Yanks have a major challenge awaiting them in Brazil. With Germany and Portugal in their group, as well as nemesis Ghana, the U.S. may need to over-achieve to advance beyond the group stage. The U.S. roster is not short of promising talent. Jurgen Klinsmann's side is led by veteran attacking midfielder Clint Dempsey and skilled playmaker Michael Bradley, along with some burgeoning defenders. Everton's Tim Howard remains one of the top goalkeepers in the Premier League. England will also be under the microscope in 2014. The Three Lions last won a World Cup in 1966, and have 28/1 odds of winning in Brazil. In a tough Group D, England will be tested by Uruguay and Italy. England are not expected to have the services of Arsenal winger Theo Walcott, who suffered a knee injury in January, but still have an elite scorer in Liverpool forward Daniel Sturridge. Iran and Honduras round out the list with 1500/1 odds. Greece has the worst odds of the 13 competing European nations at 200/1. Below are the betting odds for every team in the 2014 World Cup, according to Bovada.lv.